Charles Moore was born on 29 August 1820 at Ballymacarne, County Cavan, Ireland, son of farmer James Moore, and his wife Catherine, nee Rogers. In January 1854 he married Sarah Jane Wilcox who died without issue. In 1883 at Kingston, Ireland, he married a widow Annie Hill Montgomery. He died at Parramatta on 4 July 1895 and was buried at Emu Plains Cemetery. Charles Moore was apprenticed to a draper in Cavan, in Ireland. He completed his indentures and worked as a buyer for a Dublin drapery firm, then worked at a trade in Dublin. He sailed for South Australia with a shipment of drapery before visiting Melbourne and settling in Sydney in 1850. He opened a drapery which prospered in the gold boom and soon purchased Charles Newton’s auctioneering business in Pitt Street. In 1860 he built Baden-Baden at Coogee. In 1880 he moved to Moorecourt, a mansion he built at Springwood. Moore was a member of the Botany-Randwick-Coogee Roads Trust. He was an active and evangelical Anglican and Vice-President of the Church of England Defence Association. His bequest included funds for annual bell-ringing at St Philip’s Church in York Street to perpetuate his memory. 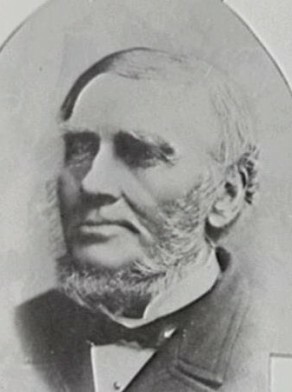 Moore was elected member of the NSW Legislative Assembly for East Sydney from 15 July to 28 November 1874. He was raised to the NSW Legislative Council from 15 December 1880 to 4 July 1895. Charles Moore was elected to the newly incorporated Randwick Municipal council on 16 January 1860. He remained on council until 1886, becoming Mayor in 1863. In 1867, he joined Anthony Hordern and Charles Kidman in an unsuccessful petition that Coogee secede from Randwick. Moore was Alderman of the Sydney City Council for Bourke Ward from 1 December 1865 until 22 April 1869 when he resigned to visit Europe. He was re-elected for Bourke from 1 December 1871 to 30 November 1886. Moore was Mayor between 1867 and 1869. It was during Moore’s mayoralty that the foundation stone was laid for the Sydney Town Hall and Macquarie Street was extended to Circular Quay. He established Council’s legal ownership of Sydney Common, renamed Moore Park. Moore Street now known as Martin Place was also named after him. Mark Lyons, ‘Moore, Charles (1820–1895)’, Australian Dictionary of Biography, National Centre of Biography, Australian National University, http://adb.anu.edu.au/biography/moore-charles-4228/text6819, accessed 14 December 2012.